While seeing friends in North Carolina we visited the Billy Graham library. Walking amongst items and testimonials of those Graham served alongside and those to whom he served up the transforming person of Jesus, I couldn’t help but marvel at the gift of my own salvation. Standing a few feet from where his and Ruth’s bodies now lay within a well-kept garden, a surprising word came bustling up through my soul: free. When I think of freedom, I think of wild horses bounding across an open field. I think of a rushing river, never stagnant. I also imagine its opposite: chains or a prison cell. Living freely felt bold and risky, and held at my arm’s length. For a rule-follower, freedom seemed unsustainable, untethered from anything solid. It was many years before I realized what freedom is Christ truly meant. Hint: it’s not simply an optimistic sentiment. Peter, a disciple of Jesus, challenges us to “live as people who are free… living as servants of God” (1 Peter 2:16). Freedom is the way of life Christ purchased for us with His death on the cross. It’s not a special level we reach as we mature. It is not a temporary state reserved for the days we feel victorious. The moment we believe Jesus as Savior and Lord we become free people. 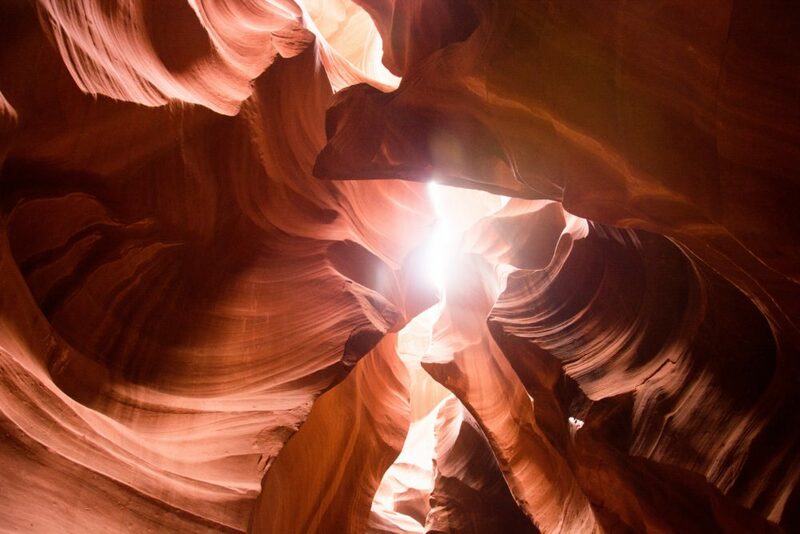 John MacArthur says, “God’s gift of redemption brings salvation from both sin’s oppression and sin’s consequences—and one day from its very existence.” For us to live enslaved to our sufficiency, or fear, or success, or inability is like God presenting His gift, and us refusing to accept it. He says, You. Are. Free. And our lives respond with, I’d rather not. My path to embracing freedom has been slow and a bit challenging. Why? Because for a long time I worked for God as if an employee, instead of receiving, as His child, all He wanted to be and give. In His presence is fullness joy, but as a worker bee, I struggled to hear His kind voice, to find His loving eyes, amidst the flurry of my efforts to please Him. I battled the lie that since God had done such a miraculous and wonderful saving of me, it was only right that I should respond with something in return. Freedom was transactional, elusive, sometimes foreign and oftentimes out of reach. 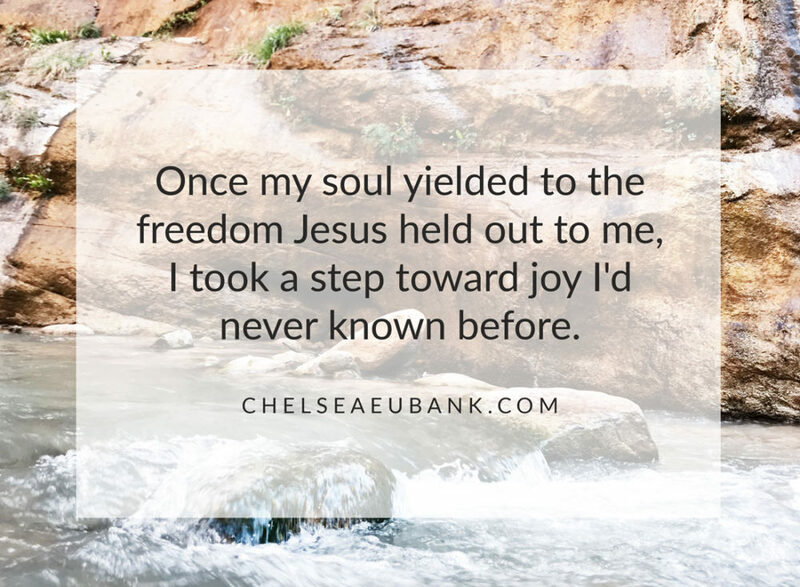 I’ve long known the facts of freedom, but once my soul yielded to the tangible freedom Jesus held out to me, I took a step toward joy I’d never known before. Living free is a continual coming to His glorious throne, knowing rest for my soul, whatever the circumstances. It is the gift of His presence in prayer and the Bible, no matter how faithful (or not) I feel, as a daughter enjoys the company of her Father. To embrace our freedom, we must accept the unchangeable truth that we are in Him and He is in us. It is accepting what He says about us as true no matter what. We’re free to live by faith and not sight – “a life of joyful reliance on what God does for us, not what we can do for God” (John Piper). Our freedom identity stabilizes us when we’ve made mistakes, when we’re hurt by another, or when life threatens to unravel us. We’re free to enjoy creation and the Creator, free to walk closely with His Spirit. We’re free to love and be loved, to depend on His sufficiency every moment. We’re free to act on confidence in Him over insecurity in ourselves, free to confess and to forgive. And like Billy Graham, we’re free to speak the Truth boldly, surrender our passions to God’s purposes, and as we breathe our last, say ‘gain’ (Philippians 1:20-21). Can you see freedom in your life? If not, what is stopping you? I am learning (slowly and clumsily) real soul rest in God. Rest – by grace through faith putting expectations and doubts and desires into His hands. 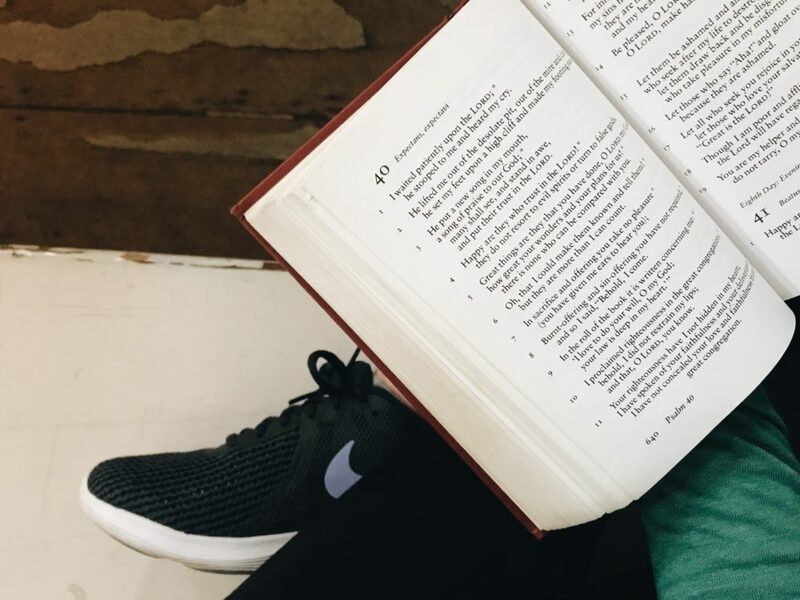 Rest – connecting to Jesus as my source of joy, peace, and contentment in the mundane and mighty. Then, there are ways I think my soul is resting when it actually isn’t, so I flesh those out here. Resting in God is not mustering up right answers we think we need. Resting in God is not striving for acceptance from the world. Resting in God is not keeping busy to escape the loneliness, insecurity, or fear. Resting in God is not fighting for a position of worthiness. Resting in God is not anxiously living to be everything for everybody. Resting in God is not working to constantly prove ourselves. Resting in God is not tackling life alone. Resting in God is not blindly walking through the day restless or overwhelmed. To rest in God is to embrace His unfailing love for you. To rest in God is to believe His words about you. To rest in God is to trust that when life seems uncertain, it’s steady in His hands. To rest in God is to find joy in His presence in the mundane and the mighty. To rest in God is to know genuine peace in times of stress and worry. To rest in God is to be upheld by His sufficient grace and power. To rest in God is to position yourself beloved in His family. To rest in God is to choose confidence in Him over the weakness in yourself. To rest in God is to experience His fullness. To rest in God is to cultivate listening ears to His voice. To rest in God is to worship Him wholeheartedly, and be inspired. To rest in God is to fear Him and live in awe of Him. What does it mean for you to rest your soul in God? We leave for Utah in a week!